Decades ago, when automotive driving technologies were relatively simple, the decisions consumers had to make about which features to choose in order to remain safe in their vehicles were simple too. People back then had to decide, for example, whether or not to add airbags, ABS brakes, etc to their purchases. Today, with the advent of sophisticated in-car technologies, the decisions of which safety features to choose have gotten more complex. There is a whole plethora of devices that are far more sophisticated than the air bags, ABS brakes etc of the past. Here are a few of the more useful in-car technologies that, along with the proper driver education, will practically ensure your safety. Backup cameras and sensors: On newer models cars, cameras greatly supplement rear and side-view mirrors as tools to help us spot traffic in areas that are difficult to see. These cameras give drivers an excellent idea of what is behind them. Many of these cameras and sensors also help with parallel parking and other maneuvers as well. Lane detection systems: These systems detect and monitor lane markings on the road and warn you when you start to go over them. They do so with beeps or with tactile warnings like vibrating steering wheels or driver seats, etc. This, along with remaining vigilant as a driver, can help prevent side collisions. Run-flat tires: The internal sensors in these kinds of tires adjust when your tires goes flat. They can then provide you with an additional 50 miles at 50 mph so that you have time to get to a gas station. Navigation systems: Many newer cars have navigation systems built into them that go beyond regular, hand-held GPS devices. Some are even able to give drivers live traffic updates and reports and street views of intended destinations. Night vision with pedestrian detection: These systems are able to detect a pedestrian in low light and determine which direction he/she is moving. As the pedestrian gets closer to the vehicle, a warning light appears on the night vision monitor and as a display on the windshield. This feature is available in the BMW 2009 7 Series. Electronic stability control: ESC can help drivers compensate when they are driving on rough terrain, making hairpin turns or when they are driving in difficult weather conditions. Sensors detect when a driver’s steering is off and corrects it so that he/she is driving in the right direction. 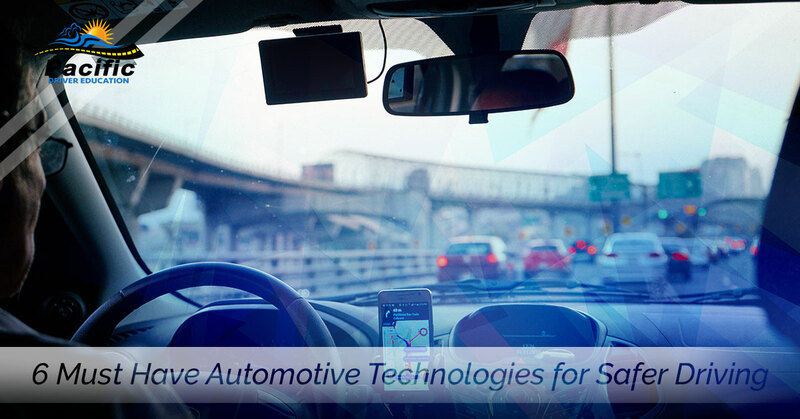 Yes, today’s car manufacturers provide consumers with an impressive list of state-of-the-art safety features and technologies from which to choose. Of course, these technologies are only supplemental to a well-trained driver. Our private driver lessons in Beaverton, Oregon can prepare you with an Oregon driver’s education that will help you become a safer, more attentive motorist.